1 Rinse and hull strawberries, pat dry and chop coarsely. 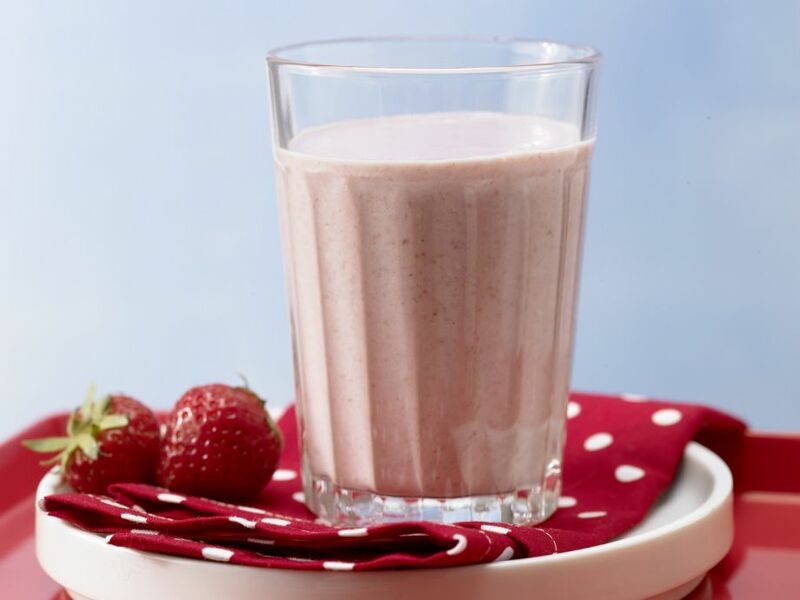 2 Combine the strawberry pieces with the yogurt, milk, vanilla sugar and oats in a tall vessel. Puree with an immersion blender and serve.